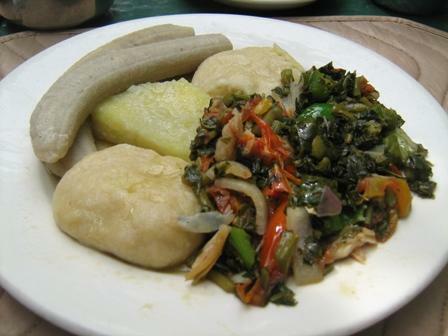 Callaloo is another staple in Jamaican cooking. Add Saltfish or Cod to the dish and you will have an amazing mixture of flavor, succulent to the taste buds. Can be eaten with fried dumplings for breakfast, eaten with bread for lunch or sided with ground provisions or rice for dinner. Add callaloo to mixture and stir. Cover saucepan and on low heat, cook callaloo (just enough for mixture to blend). Simmer then serve with rice, boil banana and/or fried dumplings.